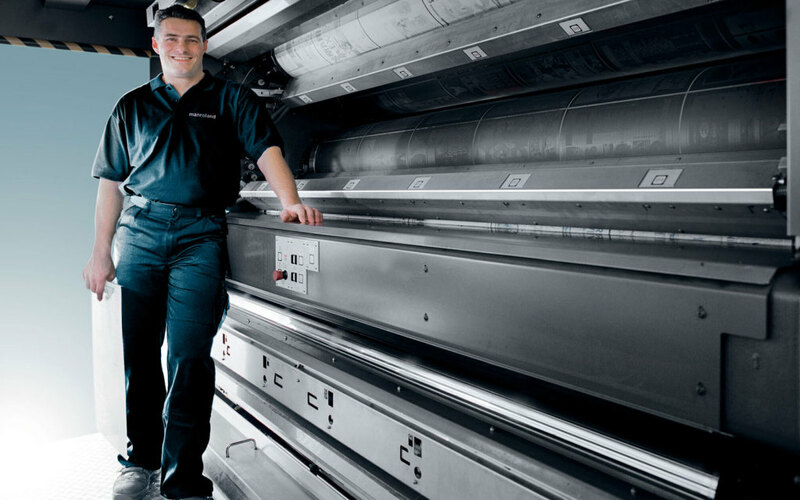 manroland is one of the innovative com­­panies with a long history in the Munich Metro­­politan Region. The Augsburg-based manufacturer of printing systems is lead­­ing the global market for web off­­set print­­ing. In order to improve its ca­­p­­­a­­c­­ity to cope with global challenges like increasing cost and competitive pres­­sure, it seeks cooperation with partners in re­­gional and cross-sectoral clusters. Media diversity, better quality, higher output rates, variable formats and flexibility in production – there is a wide variety of increased demands on producing print media. 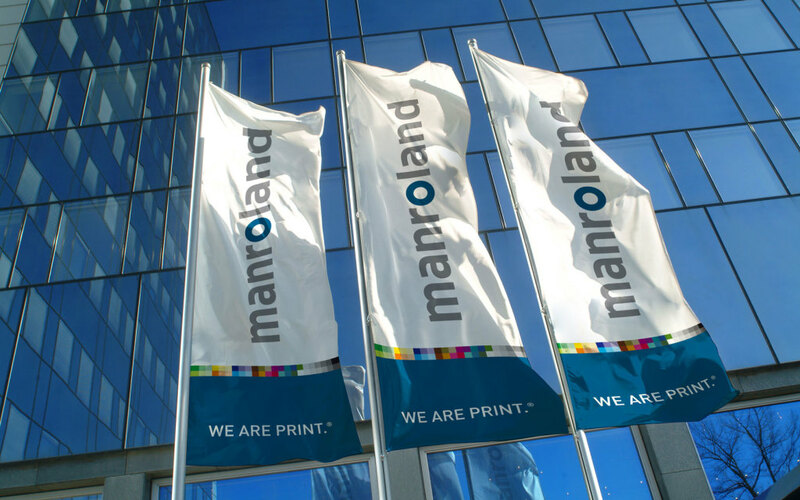 Being the world’s largest manufacturer of newspaper and commercial printing systems, manroland faces these challenges every day. Know­­l­edge exchange and cooperation in clus­­ters and regional networks play an ever-increasing part in strengthening the in­­ternational competitiveness. Establishing and expanding clusters is an essential element in location promo­tion. Clusters provide a stable platform for communication, which serves to en­­courage the exchange of information and helps implementing and interlinking both industry initiatives and cross-sectoral activities. Mutual learning be­­tween businesses, universities, re­­search institutions and other players in the val­­ue-added chain is decisive in the process. These clusters are supported by members of the business community and by partners from politics or aca­demia with leading positions in established trade associations or interest groups. Regional clusters provide efficient communication platforms, informal channels for the rapid exchange of information, creative environments for cooperation projects and opportunities for joint activities. In addition, they may also include the financial and logistic support of research and development pro­­jects with the aim to strengthen the eco­­nomic potential of a region. Sector-specific clusters, on the other hand, are supposed to bring out the competitive edges of certain sectors of the in­­dustry. However, all clusters have one thing in common: Their platforms help to better coordinate the complete value-added chain of an industry and improve the total result. In printing, this means a more coordinated cooperation between, let’s say, ink, paper or pre-press suppliers, as well as manufacturers of print­­ing machines and purchasing as­­so­­ciations. In practice, structured cooperation mani­­fests itself in regional, national or international clusters. Its main goals are im­­plementing the flow of information ac­­ross industries as well as developing and supporting joint projects and diversely qualified professionals, who should be en­­couraged to stay in the respective region. This is why manroland, among other things, supports the World Association of Newspapers (WAN) and has been in­­volved in the project “Shaping the Fu­­ture of the Newspaper” since 1999. This project is dedicated to analyzing innova­­tions and trends which generate pos­­i­­tive stimuli for the global competitiveness of newspapers. To promote this, manro­­land contributes inputs of industry-spe­­cific trends related to business concepts, ma­­chines, plants and the en­­tire workflow, and in return, benefits from the interna­­tio­­n­al WAN network. The printing industry is subject to rapid structural change. Therefore, it has to reposition itself within a multimedia mar­­ket and hold its own in an increasingly segmented market with improved business and manufacturing processes. 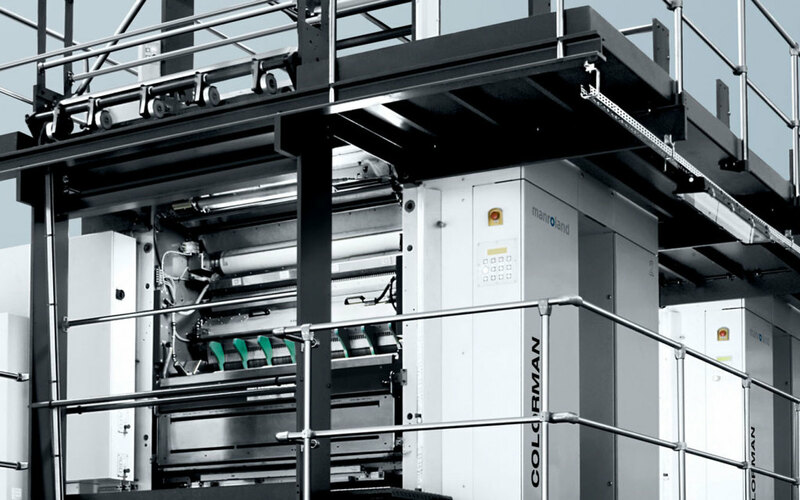 The “Print City” industry initiative, established in 1998 and initiated, among others, by manroland, has made it its goal to respond to changing customer and consumer demands and to new en­­gineering requirements. Meanwhile, more than 30 businesses from the graphics sector join forces to organize joint trade fair participation, improve workflow so­­lutions and advance printing processes and products. In order to speed up cross-sectoral in­­formation exchange in the printing in­­dustry, manroland is active in the print­­ing and media cluster “Druck und Print­­medien”, which was implemented by the Free State of Bavaria through its “Allianz Bayern innovativ” initiative. This network comprises more than 500 part­­ners and aims to make better use of local potentials, encouraging cooperation and exchange of information be­­tween companies, universities and re­­search institutions. The joint promotion of qualified next-generation staff in aca­­demia and education is top on the list of priorities. The initiative targets small and medium-sized businesses as well as universities and research institutions. For many decades, manroland has strength­­ened the business location of Augsburg and the metropolitan region of Munich, which, in addition to Munich and Augsburg, includes four more ur­­ban counties and a number of large corporations in the region. The Munich Metropolitan Region is home to about 5.5 million people and generates more than half of the Ba­­va­rian gross domestic product. It is the centre of the Bavarian media industry, including the printing and pub­­lishing sector, television and radio, film production, internet and multimedia. An ideal environment for manroland to pick up trends and translate them into innovations and projects successfully. Using robotics in newspaper printing is a shining example of realizing local co-production. Automatic Plate Loading (APL) is a fully automatic plate changing system, which promises 90 per cent time saving compared to manual handling. The system was developed jointly with KUKA Robot Group, another large industrial company based in the Augs­­burg region. manroland integrated the feature into the complex printing processes. By using APL, manroland is ap­­proaching its long-term goal of offering a continuously operating printing press which, following the “one touch” principle, runs fully automatically without set-up or down time. Originating in Augsburg and co-initiated by manroland, the Mechatronics & Au­­tomation industry cluster is considered a very successful model of regional cluster strategies. It was prompted by the on­­going electronification process in me­­chan­­ical and plant engineering, which called for a new training concept for skilled workers and young specialists in the en­­gineering professions. Me­­chatronics is the connecting link be­­tween mechanical engineering, electronics and computer science. The Mechatronics & Automation cluster, which is active throughout Bavaria, is working towards information and knowl­­edge exchange between research and business. For medium-sized firms and academic institutes, in particular, or­­ganized networks, workshops and job exchanges constitute an ideal platform for initiating joint projects. So far, this cluster has been the starting point of more than 40 collaborative projects in such varied areas as robotics, automation and intelligent materials. Since autumn 2007, manroland, together with the Swabian chamber of commerce and industry and the Augsburg University of Applied Sciences, has also been supporting and financing a me­­chatronics dual study course leading to a Bachelor of Engineering degree. Mechatronics graduates from Augsburg are recognized and sought after across the region for their outstanding expert knowledge. Whether research projects, promotion of next-generation specialists, conferences or industry marketing – the print­­ing sector must join forces and pull in one direction to strengthen its position in the media competition. This is all the more so for an export-focused company like manroland, which generates about 80 per cent of group sales abroad. To enable clusters to act successfully in terms of active business promotion, it is essential for the relevant platforms to address the right issues and attract committed participants in the long term. This is only possible if there is a free and best possible structured flow of information between companies and clusters – a prerequisite for the successful implementation of, for instance, specific research projects at regional or industry level. To achieve this, all levels of the value-added chain in the sector must be involved – from design to product development to logistics and services. Another important aspect is the public image. Effective networking with media, politics and other high-pro­­file decision makers is crucial for the members of a cluster to create a fa­­vourable public image. manroland feels obliged to continue supporting collaborative initiatives in the printing sector, either on a cross-sectoral basis or in the context of the Munich Metropolitan Region. Since the company was established in 1845, manroland has been shaping the technological development in the printing sector. The Augsburg location is play­­ing a key role in this process. It was here that Carl August Reichenbach built the first flatbed press in 1845. More highlights followed, such as the first web-fed offset press in 1921. Al­­ready in 1960, three quarters of the total cir­­culation of German dailies were printed on pres­­ses made in Augsburg. Today manroland AG employs 8,700 people worldwide, of whom some 3,000 are based in Augsburg alone, including 450 trainees, most of them training to be mechatronics engineers, industrial mechanics and lathe operators. 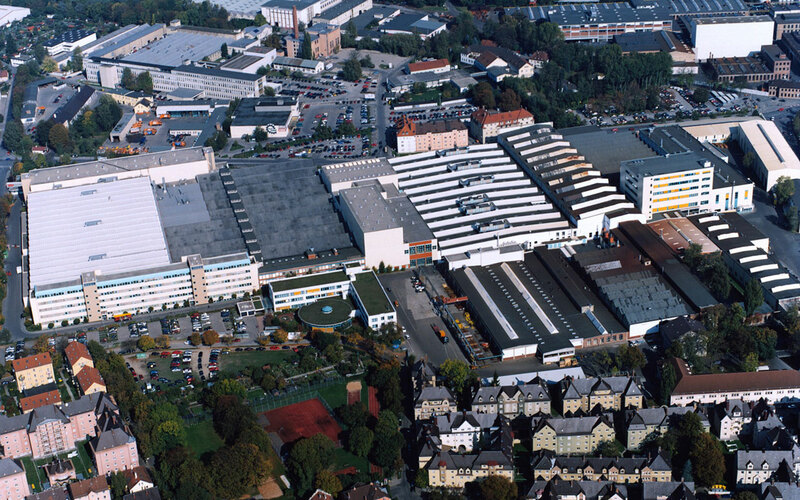 This makes manroland one of the largest employers in the Augsburg region. Our company’s home is the world, but our heart beats in Germany. The author, born in Baiersbronn in 1957, studied printing technology at the Tech­­nical College for Printing in Stuttgart. Gerd Finkbeiner has been the Chairman of the Executive Board of manroland AG since 1999. In addition, he has been ac­­tive as honorary professor at the Stutt­­gart Media University since 2000 and as voluntary deputy chairman of the Munich Metropolitan Region (MMR).